Good local food from good neighbors in Colorado. We love our neighbors just as much as you do. That’s why we’re putting out some local love to the universe. Please pay them a visit and tell them Mustard’s sent you! We’d love to see you! Steele’s Meats in Lafayette supplies the all-natural, grass-fed, antibiotic- and hormone-free beef for our burgers. Continental Sausages of Denver provides us with all of our bratwursts. Udi’s Gluten Free makes our gluten-free buns. 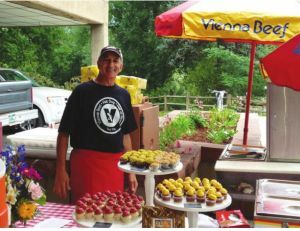 Vienna Beef: They’re not local, but Vienna Beef’s quality dogs and sausages bring a taste of Chicago to Colorado.